With the start of the Mobile World Congress 2017 Launch Event expectations are increased and people starts expecting for new Smartphones launches from different brands. As we all know that the well know brand name Nokia is also going to make its entry in the Android Smartphones Market, so the Nokia is also expected to unveil new Android based Smartphone handsets and especially the next generation of the evergreen handset, Nokia 3310. 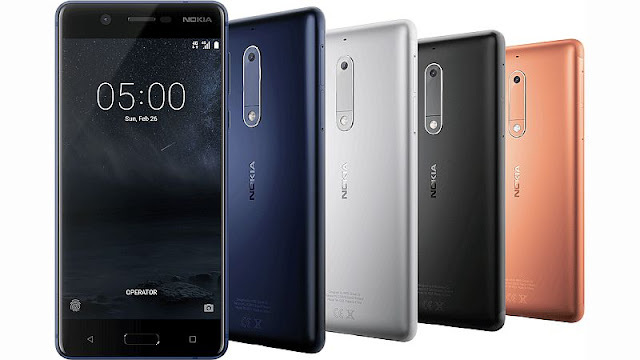 HMD Global has recently launched its first Android Smartphone the Nokia 5 with the Nokia branding licensed from Microsoft. The company has unveiled its latest Smartphone Nokia 5 that has a 5.2 inches Display. The Smartphone handset has with aluminium metal body with curved design. All other details of the Nokia 5 Smartphone are yet not revealed. We’ll update soon with more details……..